Instantly accept credit cards from pilots and members. Track student enrollment, grades, and assignments. Try SkyManager for FREE right now in your browser. 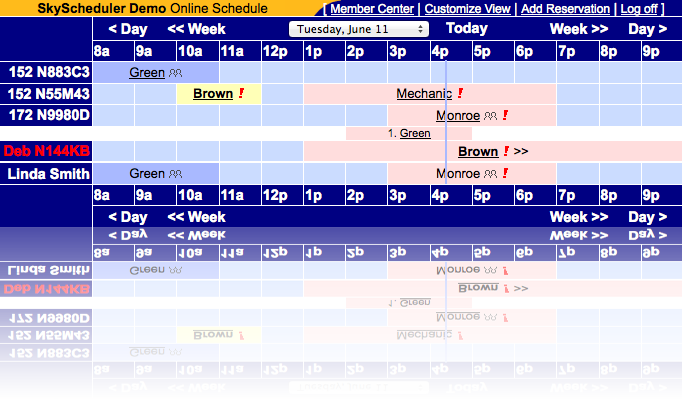 Schedule pilots, aircraft, instructors, and much more. Bulk email, NOTAMs, announcements, and more.